To say I get excited to try a new skincare brand is an understatement. Whether it is new in general or new to me (as is the case with Sjal skincare), I feel like a kid in a candy store. I want to put it all on my face immediately and sit and play with the products for hours on end. 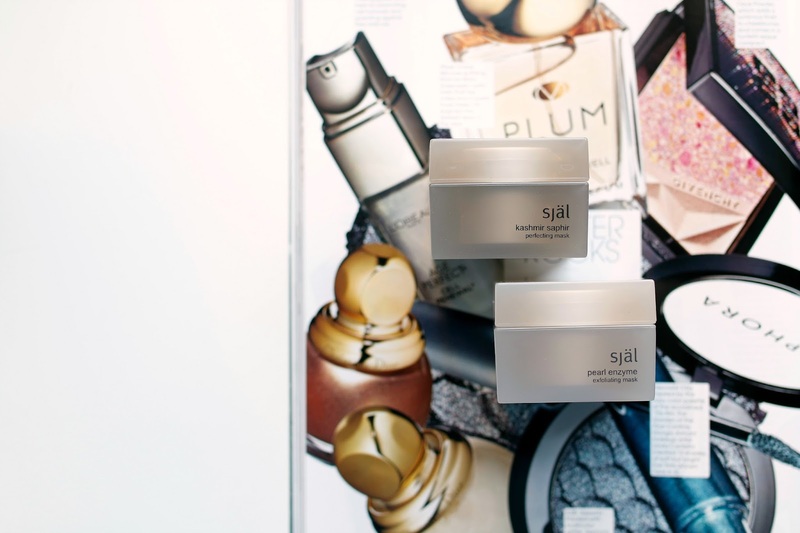 (I'm sure all of you can relate - which I assume is why you come back day after day LOL) Sjal has been on my radar recently and I have been particularly interested in their concept of bringing elements of eastern medicine and combining it with western technology to create a simple but effective range. I had the opportunity to test out their Perfecting Mask and Exfoliating Mask and wanted to share my thoughts on each. 1. Perfecting Mask -What the above photo fails to capture adequately is the pearlescent quality that this mask has when applied to the skin. It looks luminescent and glows with a pearlized finish to it. It naturally made me that much more excited about how my skin would look after using. I used it on a night when my skin was particularly dehydrated and dull looking, hoping that it would liven things up north of my neck. I left it on for the recommended 15 minutes and used a warm cloth to remove it. While I anticipated a boost of hydration and radiance, what I didn't expect was how instantly calm and soothed my skin looked. 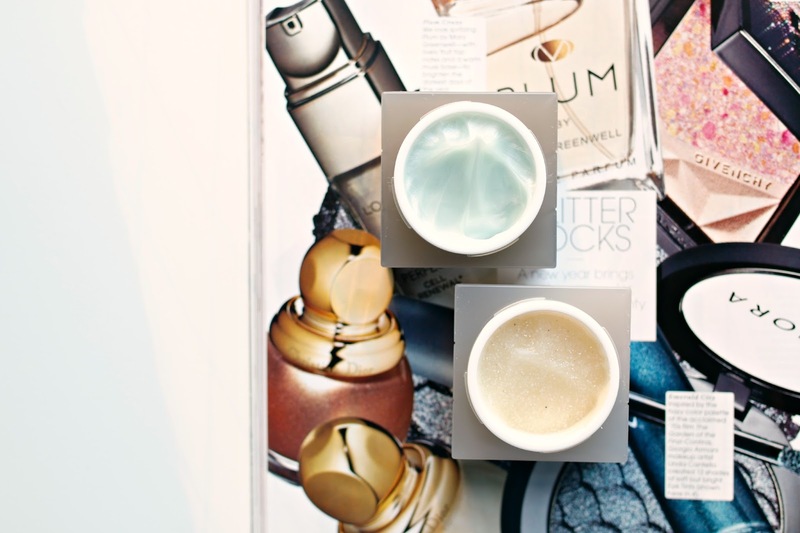 My pores appeared smaller and everything looked and felt firmer. Additionally, I had a breakout brewing under the surface on my chin and was expecting it to break through any day, but by the next morning the bump had gone down in size and the blemish never ended up rearing its ugly head on my face. Victory! 2. Exfoliating Mask - Second to cleansing and eating cupcakes, I love to exfoliate. With a mask, a scrub, a serum, a peel - you name it, I love it. So this was actually the first product I tried from the line. It has slight granules in it so there is both a chemical exfoliation happening from the complex of enzymes and fruit acids as well as a physical exfoliation occurring from the granules. I typically don't do a ton of peels or use a lot of exfoliating products in the summer because I am out in the sun more than usual so my skin has been a bit more textured than normal which gave the mask a bit to work with. Again as with the Perfecting Mask, I left it on for 15 minutes and rinsed off with a warm cloth. I should note that the granules were so delicate and fine that I barely felt them when removing. It was a nice change from standard masks with a scrub-like texture that can be effective though a tad harsh. This was gentle yet effective. My skin felt soft and smooth without any residual redness, and continued to feel that way for the next few days following the treatment. While I am definitely going to stick to my reduced exfoliation in the summer, this is one treatment that seems suitable for helping keep my skin's texture in check without being too harsh. I haven't heard a great deal on this line, but I love mask, seriously one of my favourite skincare buys! I'll have to keep these in mind, my mask draw is overflowing a bit right now! !